Assets are a matter of trust. As a nationwide project developer we are bundling all the necessary expertise under the brand ARCADIA Investment Group – from real estate, retail, parking, property boundary realignment and project implementation right up to entire developments of residential quarters with integrated living and utility spaces. Our project developments and investments are implemented with funds confidentially made available to us by our joint venture partners, family offices, cooperation banks as well as our own assets. We have always undertaken all our property commitments purposefully while paying particular attention to the respective asset structures and asset strategies of our partners – as a consequence we consider ourselves to be operating asset managers. Owing also to the increasing complexity of legal requirements surrounding property investments and project developments, ARCADIA is pooling its financing activities within the ARCADIA Financial Services GmbH. 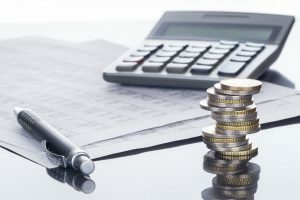 In addition to the internal financing, asset and liability restructuring of the Group, we also offer longstanding expertise as a service to clients in the financing segment – alongside our services in asset management and portfolio management for private as well as institutional investors, with a particular emphasis on third party capital structures and refinancing of equity capital.